Combined authority mayors are here and they are already making their presence felt. They are all over their regional media – punching it out across a broad range of issues (including transport of course). They are also in transition mode; transition from campaigning to governance, from saying what they want to happen to being in charge of the entities that have been making things happen. This includes being in charge of some of the things they said they didn’t like during their election campaigns. And in transitioning into power they haven’t got much time to make a difference. Crazily, they have only been given three-year terms which is no time at all in which to make structural change which brings long term benefits. Three-year terms bring a sense of urgency but also in reality mean that strategies are being based on the absolute necessity of being reconfirmed half way through a six-year period. Six years is what they really want, and need to have, in order to make a long term difference. The other key thing to remember about mayors is firstly that not everywhere has one, and secondly the mayors we do have are far from homogenous. They can be broken down into sub groups in multiple and overlapping ways: Conservative and Labour; London and the rest; big conurbations and smaller ones; those who came with pre-existing name recognition and those who didn’t. Then there are mayors within mayors and that affects the dynamics too. The most striking example being the West of England Combined Authority, which has a Conservative mayor, Tim Bowles, for a combined authority covering three districts. One of those three districts is Bristol – which already had a high profile Labour mayor, Marvin Rees. And don’t forget London has a completely different basis for its mayor. London doesn’t have the combined authority that the others have, and none of the others have the elected assembly that London has. One last thing to remember about mayors. On paper their powers may be ambiguous or even absent across a whole swathe of policy areas (and each mayoral combined authority drew up its constitutions differently) but although the districts may retain the hard powers the mayor has the soft power. If you are a player on the national or international stage and you have one phone call to make to one person in a city region – who are you going to call? This is especially true of the big name mayors for the largest conurbations. documents) might shape up for the next election is now something that really matters. There is no way Labour leader Jeremy Corbyn is backing off any kind of rail reform that can’t be badged as nationalisation. Does he have a record of backing down because very important people are really cross with him? Er, no. The question is what it might mean in detail and also how the circle can be squared between Labour’s commitments on devolution and their commitments on ‘nationalisation’ (which as the name implies suggests centralisation at the national state level). In Scotland, the SNP has also been exploring this territory by floating the idea that a CalMac, SPT, Transport for Edinburgh combine could be in the running to operate the next ScotRail franchise. It is also talking about new transport legislation which would open the door that England’s Buses Services Act sought to keep locked around the expansion of municipal bus operation. We may well see more of this kind of thinking from here on in by parties currently in opposition at Westminster. The Great Western Main Line electrification debacle showed – and on the grandest of Brunel-built stages – the fitful and unpredictable nature of Network Rail’s project management and railway engineering capabilities. This is something that urban transport authorities have been experiencing in so many smaller, yet equally painful ways, on their own schemes for years. Delivery dates slip and costs go up. That’s just the way it goes. Now that it’s happened on such a huge scale it’s become a single monumental problem rather than just a series of exasperating local incidents. Not just for those who want to ‘save our rail privatisation’ but also because of the danger that the money that should be spent on new schemes now has to go on finishing off the projects that should have been finished already. There are at least four potential major ramifications for city regions. The first is that the lack of funding for new rail schemes potentially blows a big hole in wider plans for a shift to public transport in urban areas (which are predicated on the development of steel wheel networks). This in turn is not great for improving air quality, supporting inclusive growth and cutting road congestion. Secondly, it risks available capital being spent on things that aren’t railways because people don’t trust the railways to deliver to time and on budget. Thirdly, the angst around rail investment in general and Network Rail in particular is likely to worsen. And finally, the momentum behind finding other ways to get rail networks improved (which don’t rely on route one via Network Rail processes) will grow. This is also reflected in the recent Gibb report on Uckfield electrification, and in the way the East-West rail project is being delivered. We are into an era of ‘workarounds’ on getting rail schemes done – and the city regions will be part of it. One of the many things that got done on election night was the demise of the cult of austerity – as in the consensus that there is no alternative to austerity. Although right now the government is struggling with how best to translate this into policies that its different factions can live with this, it could still translate into some good news for urban transport. For example, could it mean some relief on the severe year-on-year local government revenue spending cuts, which in turn have led to a hacking away at local government capacity to plan and deliver better transport as well as at available budgets for supported bus services? Without an overall majority and with Brexit-related legislation taking up nearly all of the available parliamentary time (and a good deal of the time of officials whatever department they are from) there’s also a theory that with the government unable to do much on legislation it will need to concentrate on what it can do with money. And transport would have its attractions in terms of political impact. Compared with one per cent increases in public sector pay, state pensions or benefits, you can get a lot of specific transport schemes with all the positive local headlines they generate. Something else that changed on election night was that young people finally decided to amble down to the polling station in numbers. This rather upsets the basis of a lot of recent policy-making, which is that old people vote so protect their interests and young people do not, so don’t worry too much about their interests. In transport, this is one reason why we have protection for a statutory older persons concession whilst young people have seen their non statutory concessions cut back. But now that young people are voting will we now start to see this reflected in political decisions? If so, we could see more attention given to concessions for young people. Andy Burnham has certainly made it his priority deliverable on transport in the early days of his mayorality in Greater Manchester. Jonathan Bray is the director of the Urban Transport Group. 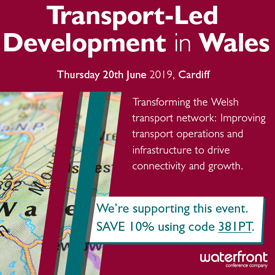 Throughout his career in policy and lobbying roles he has been at the frontline in bringing about more effective, sustainable and equitable transport policies.